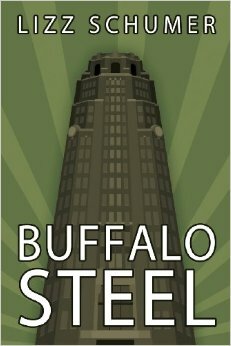 I’m pleased to announce that “Buffalo Steel” has officially launched and is now available from Black Rose Writing and on Amazon.com, with local bookstores and other purveyors to follow. I’d like to send out a heartfelt thanks to all of my Goddard College MFA advisors, who saw this book from before its infancy to its conception, the Vermont Studio Center that gave me the space and time to revise and rework it into its current form and of course, my family and friends who put up with me, throughout the writing, revising, editing and pre-press process. Read the back-cover synopsis below and watch my events page for launches, readings and so forth. Like what you see? Want to talk about it? Please contact me!